Peheat the oven to 375 degrees. Lay the bacon out on the parchment and bake for 10 minutes, the bacon should be partially cooked, but not yet crisp. Take the bacon out of the oven and coat one side of the bacon with the sugar-pepper mixture and return to the oven for about 5 more minutes. The sugar should be caramelized and the bacon should be crisp. 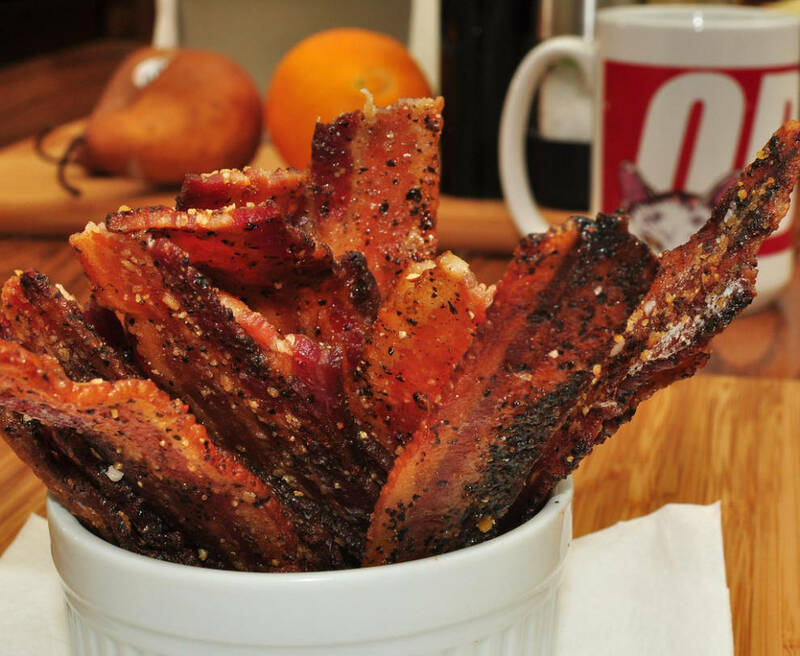 When the bacon is cool enought to handle, carefully lit onto a cooling rack, serve warm or at room temperature. This holds well for a couple of hours. What would consist of the sugar pepper mixture?